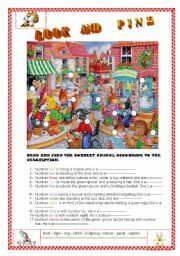 English worksheets by Alicia del c.
English worksheets > contributions by Alicia del c.
Find the animals according to the descriptions! 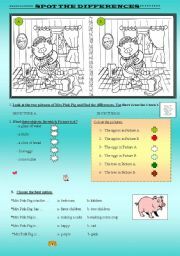 SPOT THE DIFFERENCES ORALY AND THEN WRITE THEM.COLOUR THE PICTURE ACCORDING THE INSTRUCTIONS,CHOOSE THE BEST OPTION.HAVE FUN! INTRODUCE THE PASSIVE VOICE IN AN EASY WAY: SAYING WHAT THINGS ARE MADE OF. Help me find my toy. 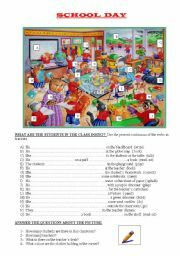 Colour the toys , make questions and answer, use the prepositions. 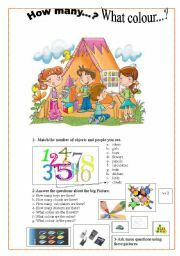 Oral and written activity for elementary st�s. traditions from ARGENTINA, the famous GAUCHO, his clothes, traditions, costumes and more! 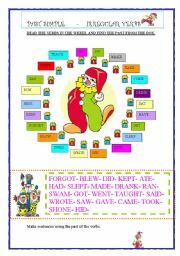 An activity to practise verbs in past. 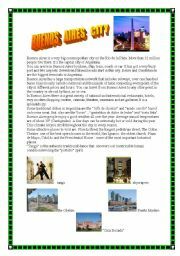 About Buenos Aires, Argentina�s capital city. 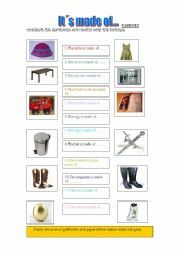 with activities about the text.To practise superlatives, adjectives. Comment about the people, traditions, food, tango dance, important places, transport,etc. 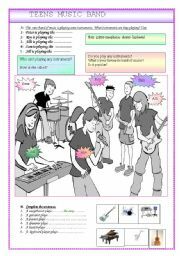 Simple worksheet to practise instruments vocabulary and questions. 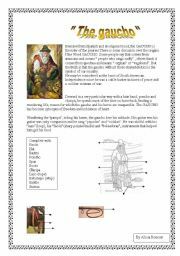 This ppt is to describe people�s appearances. With exercises. This pp can be used to teach and mark differences between tv programmes, talk about them ,what programmes do they like best or not.Compare programmes. what sould or shouldn�t do in different situations. have fun with your students!!! Sts have to guess the name of the place according to the picture or description. 13 slides with questions. This ppt is a complement of the worsheet with the same title.Very funny for youngers. this pp is 2,20MB so I�ll only send two parts.It has got the most horrible and frightened pictures of halloween and of course the funniest too. Here is the second part.have fun! !